I want to invite you to join me and take part in this new series I am teaching this year at A for Artistic called Children of the World. 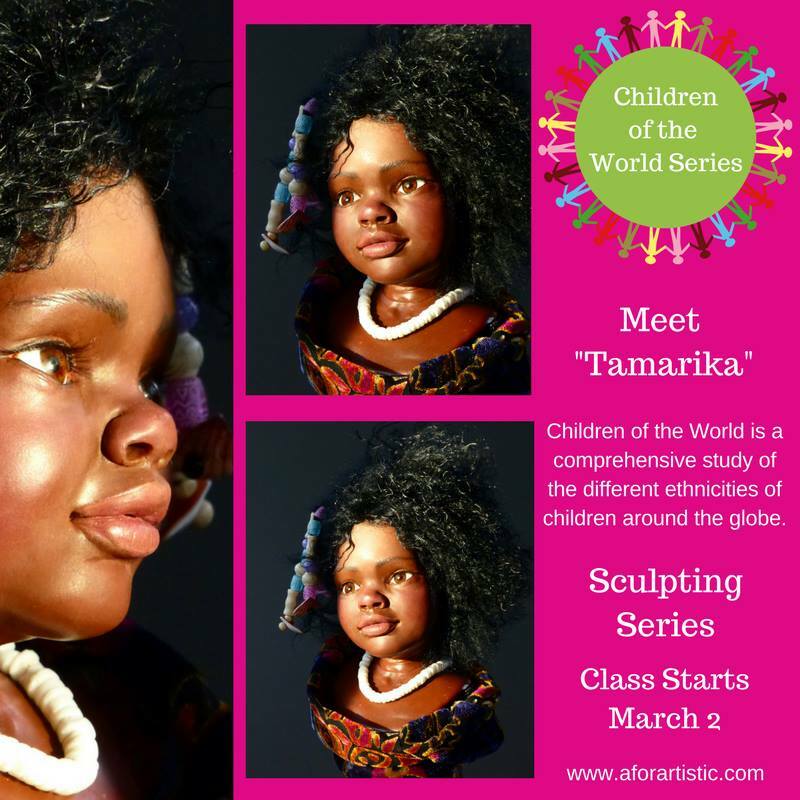 The classes will cover the subtle differences in features and bone structure of children of different ethnic backgrounds. This is something I have wanted to do for a long time and this is the year! There will be 4 or 5 different subjects covered. This is a bust; 11" tall overall including the base- so we can focus on the facial features. Class is filling now and starts March 2nd, so come and join us! Feel free to share-and thank you ! Update: The seminar is full, but we are taking names for a waiting list in the event we have a cancellation. Get in touch for more information! Just a quick note to let you know I have finally updated by Available Artwork Blog- with the sculptures I have available for sale at this time. Please take a moment to check that out and if you are interested in any of them, I would be happy to send you additional information! Here is a peek at some I have listed. It's a lot of fun when I have a new piece to share- it's been a while since I have had a chance to add new work. This is Fallon- and she is modeling the accessories I am teaching in my new class! 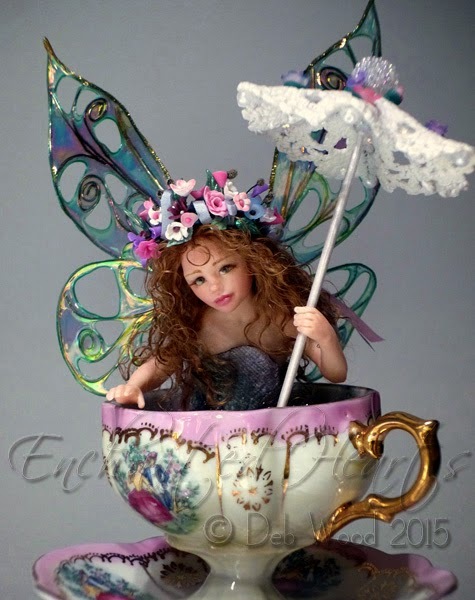 Come and check us out at International Art Doll Registry isn't she gorgeous!! Love it! Thanks for stopping by. We had such a good time! Thank you to everyone for making it such a fantastic week! Create your own personalized photo books at Shutterfly.com. Mark your calendars! May 14-18, 2014, in Ft. Lauderdale Florida! A Seminar with me- conducted through A for Artistic! Cinderella.....poor overworked Cinderella. It's a good thing she had mice to look after her! Imagine what would have happened if the shoe hadn't fit?! 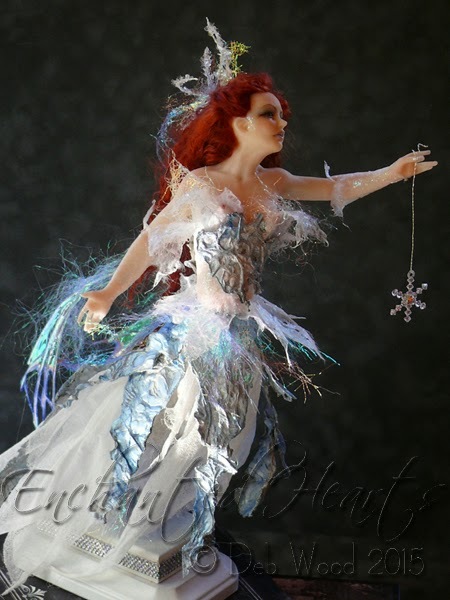 Come and join me and create a fun, elderly, but classically beautiful, posable character doll, complete with funky costuming and unique accessories! 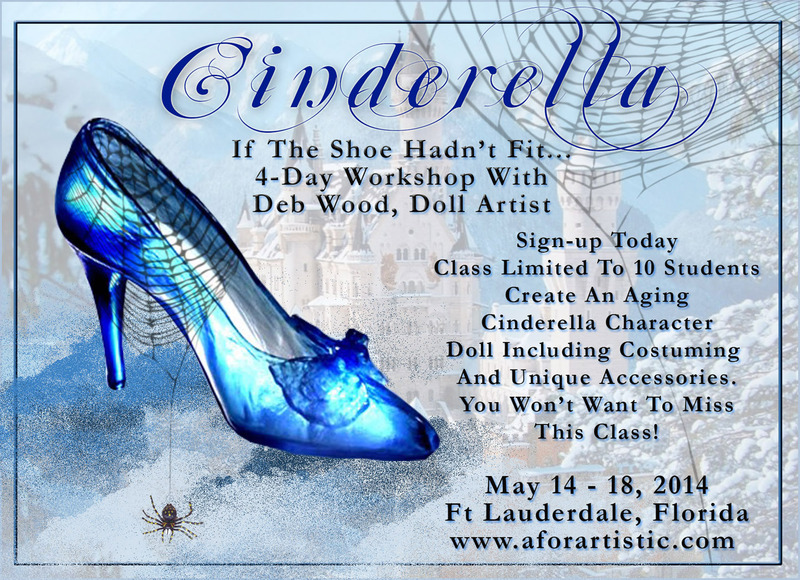 I will be teaching a 4 day seminar in Ft. Lauderdale, FL, beginning on May 14th, 2014! I don't conduct many seminars in person anymore- so why not take this opportunity to join me? The class will be held in a private studio right on the water. Its a beautiful setting, relaxing and conducive to creative energy. I will continue to post photos here as this class develops, and also will update with prices etc. Students will stay in a nearby hotel, with transportation to and from the studio provided. The hotel provides free shuttle service from the airport and the hotel has free continental breakfast served each morning! Most materials will also be included in the seminar. So mark your calendar! Come and join us as we consider poor Cinderella, if the shoe hadn't fit! You will need to bring your own clay. More about this later; each person develops their own preferences for brands of clay. Deb will have a limited amount of conditioned and aged clay on hand for purchase as well as packaged clay to buy. Registration is now open at: A for Artistic Don't wait too long, seats are filling fast! 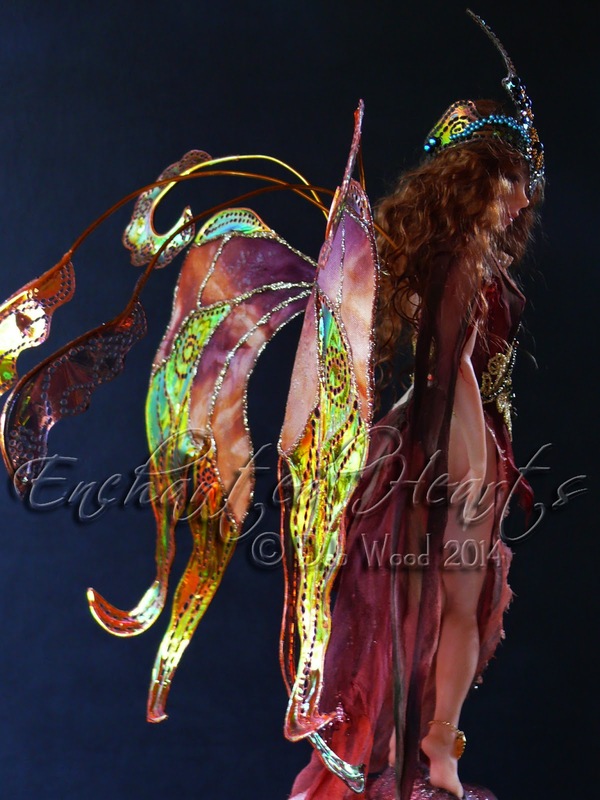 Go to A for Artistic, click on Live Classes and you will see the information there. This seminar is filled, but we are taking names for a waiting list in case we have some cancellations. Thanks to everyone who has registered! More information will be coming soon. Hello there! Just wanted to remind everyone that "Wisp", the posable cloth bodied doll class is going to be starting at A for Artistic soon! there is still time to sign up for this fun and informative class. 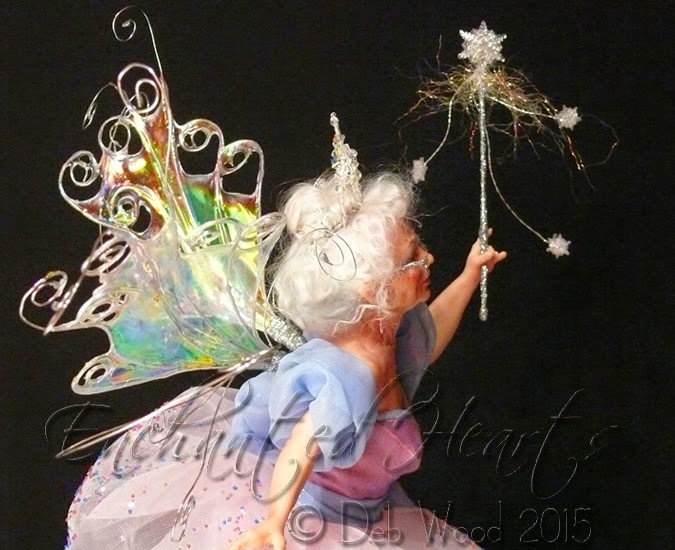 Email me at deb@debwood.com if you have any questions- thanks! Hope to see you there!!! Our show at IDEX was a great success for us at International Art Doll Registry! Below you'll see a few photos- with more to follow. The artists enjoyed some great sales! Home from IDEX- what fun! Home from IDEX! Just got home last night- late. Came home to a mountain of snow at the end of my driveway, thanks to my son in law, I expect it was he who plowed. This is getting ridiculous. All the warmth and sun of Florida- to come home to another 10 inches of snow. But! It is good to be HOME. The show was very successful for our group. I was amazed and thrilled for everyone who sold work. I will post a slide show here when I get one done- still have to transfer the photos to my computer. But, just happy to report that the show was a success and some of our artists won awards too! Double bonus! Meet Wisp! 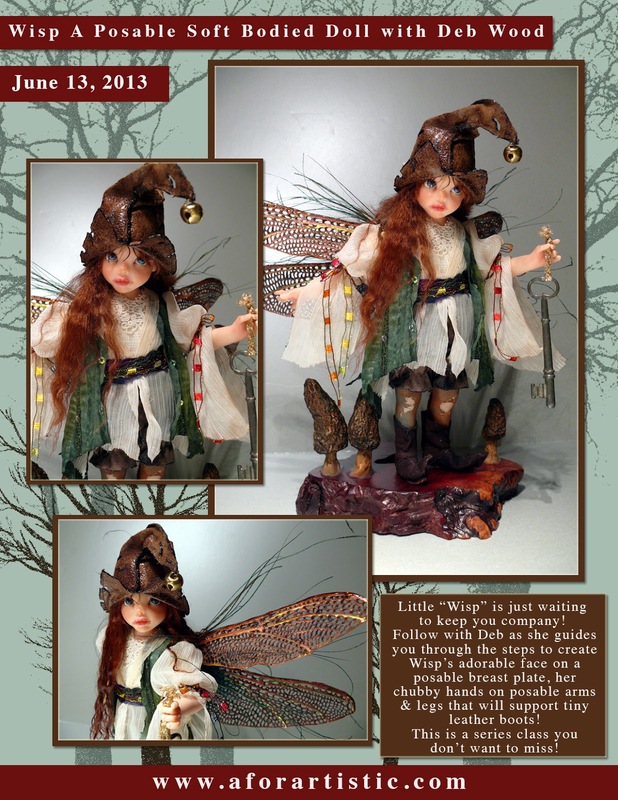 This cute little impish Dragonfly Fairy is modeling the wings I will be teaching in the upcoming online classes! 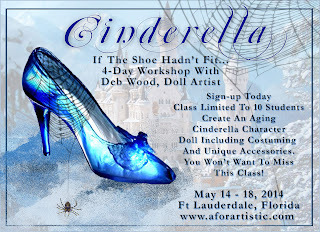 A for Artistic is hosting the first class, starting tomorrow! And then in May it will be offered at International Art Doll Registry so be watching for that. Also, I will be bringing Wisp with me to IDEX this next month, April 11-14th in Orlando! 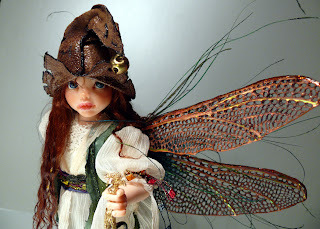 She too will be the subject of an upcoming class on creating a posable soft bodied doll. This is just too much fun~ If you have any questions, don't be shy! You can click on any of the photos in this column or over on the right and they will link you to my website. There you'll see additional photos and information. 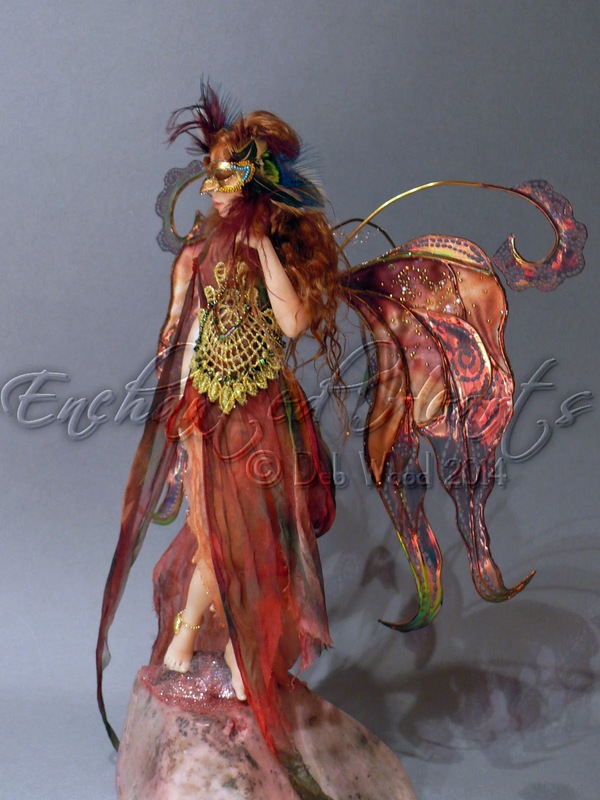 The "Why" ...of creating figurative sculpture; to bring into existence these tiny beings. This stirs in me gentle, comforting thoughts of long ago. It is a nurturing process and certainly the most satisfying. 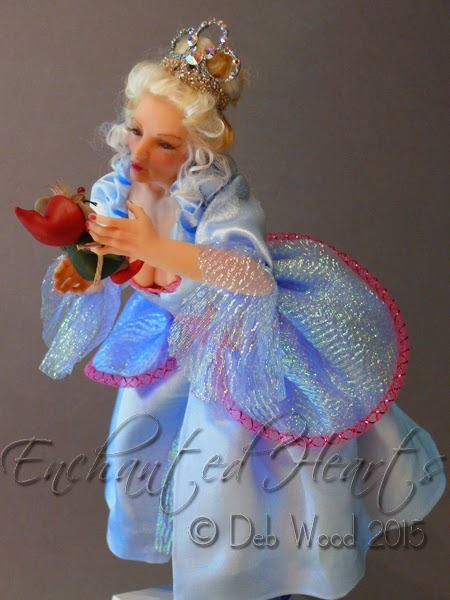 Whether it’s a memory of my own childhood conjured up, or perhaps fond recollections of my children’s youthful days, this practice of sculpting figures, dressing them, attending to every detail... it’s like being a child and 'playing house' all over again! To be able to do this and have it appreciated by others, well, it just doesn’t get any better than that. This intrinsic act of creating a figure, then watching the expression on the face of the viewer, or to hear the heartfelt comments of that one special person who ultimately takes this sculpture for their own collection, it is this exchange that spiritually intertwines me with that person. The cycle is complete and I am free to move on; to create again. And yes, life is good. "Love many; trust few. Do no harm to anyone." "The greater the artist, the greater the doubt; perfect confidence is granted to the less talented as a consolation prize."